Still on the hay theme, what else it’s hay time out here, I went out again tonight to have a look around. 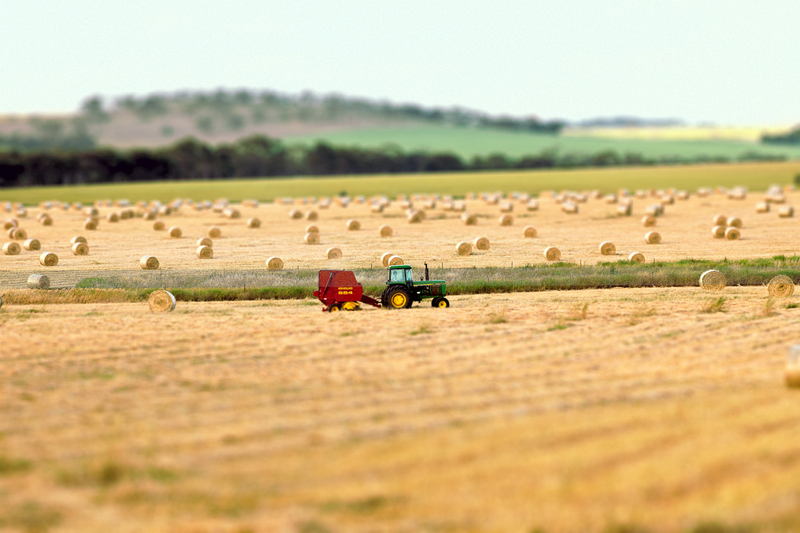 When I was going through them tonight I thought I’d try the tilt shift with this one. Not perfect but I kinda like it. Forecast is for showers tomorrow , not good for the hay but it might produce a decent sky. I went back to the same place as below tonight as it looked like the sunset may be ok. There was a fire in the west as you can see by the smoke which helped the sun along a little. The bales that were here yesterday have been picked up and bundled by machine ready to be carted to the sheds.